ARCONA The Eyes Have It is a powerful nighttime eye treatment uses a glycolymer complex and pentapeptides to reduce fine lines and increase the elasticity of thin and damaged skin. Formulated with pure botanicals that hydrate and protect the area around your eyes, The Eyes Have It contains no harsh chemicals or preservatives, allowing you to look younger and more refreshed without worrying about unhealthy effects. 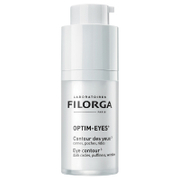 Ideal for those with thin or stressed skin around the eye, desiring a powerful eye repair complex. 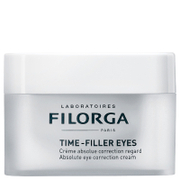 Apply to eye area twice a week at night. Pentapeptides stimulate collagen building. Borage Seed Oil is an emollient that promotes healthy skin growth. Vitamin E helps fight free radical damage. I do love arcona but this is not one of my favorites.